Todd has been LARP-ing (live action role-playing) for years, and when we first started dating, he asked me to give it a try. I told him I would try it once, but that I wasn’t making any promises. It turns out that I love it! I love immersing myself into a character and forcing myself outside my comfort zone, though I have to admit, I’m not great at staying in character yet. Now, however, when the topic comes up when I’m with my non-LARP-ing friends and they ask me what it is, I have a hard time explaining it. Today I found article that describes what a LARP perfectly. It is quoted below. A Better Way To Answer the Question: What is LARP? Editor’s note: This post is part of our “GM Corner Column” and are the thoughts and musings of the GMs and Game Staff of their prospective game. The opinions and statements are the author’s and the author’s alone. During the winter here in the Mid-Western United States—where LARPs dare not brave the cold and snow to have events—I find myself working on things for LARPing more so than during the season. I craft for those who go with me to events and I sometimes enlist them (possibly other friends) to help me on big projects. When we talk about LARPing in front of other friends or people they sometimes are interested, sometimes not, but I always try and explain it to them nonetheless. So conversations come up between my friends and I while we craft and between people when they are curious about it. Between those who come and craft with me conversations can range from a sporting event to philosophy from the LARPs that we play (character morals, what would happen if we did this, etc.). Those who ask me, “what is LARPing?” are always looking for an explanation, and they want a simple one. Many people would say, “It’s like D&D, but not, sort of, depending….” Yet, though discussions with those who I LARP with and other friends, I think the best way to describe LARPing is as a spectrum. Like any spectrum LARPing has two ends: the sport end and the role-playing/story telling end. Those LARPs that fall on the sport end of the spectrum are those that focus only on the fighting and athletic aspects of a LARP. They are the live-action part of the live action role-playing game genre; another name for these games are battle-games. These LARPs are about going out and fighting with foam weapons, bashing on each other, having fun. This, it seems to me, is the basis for American LARPs. Pictures of people running at each other with blue “camp pad” foam swords and shields, wearing just normal clothes, come from these LARPs. Being an American I think this became so popular in the United States because they are simple, relatively low cost, and sprung up around areas where sports are a large part of the culture. My first experiences with LARPs—if one can call just sword fighting a LARP—was on a college campus when I was younger. I thought it was brilliant, it took me back to my childhood days where my friends and I would fight with sticks. Though there was no apparent role-playing structure to these games, it sparked my interest. I later found out that the college students called their LARP Belegarth. Some similar LARPs to Belegarth are Amtgard and Dagorhir, though over the years I have seen that there is a spectrum inside those LARPs as well. Many of the sport LARPs have began transferring to a more role-play game. I do not wish to offend the players from those games by calling them simply a sport, I know my experiences with those three LARPs are seriously lacking, but from what I have seen they seem very sporty compared to other LARPs I have played. Sport LARPs are usually just results of teens and young adults making foam weapons to fight for fun. Whereas large LARPs that incorporate hundreds of people or more; tend to have a role-play aspect whether or not the game has role-playing incorporated into it. I like sport/battle-game LARPs for something different and simple, though if I had to choose I prefer a middle ground between these games and the games I am going to talk about next. On the role-playing/story telling end of the spectrum are games that are only about being your character, and combat is not a priority. Murder mystery dinners, parlors LARPs, many vampire/werewolf LARPs I have come across are like this. The rules and ideology of the game is to, basically, live another persons life for the duration of the game. While some of these heavy role-playing LARPs have combat, there is no focus and it is usually not important for the game to function. 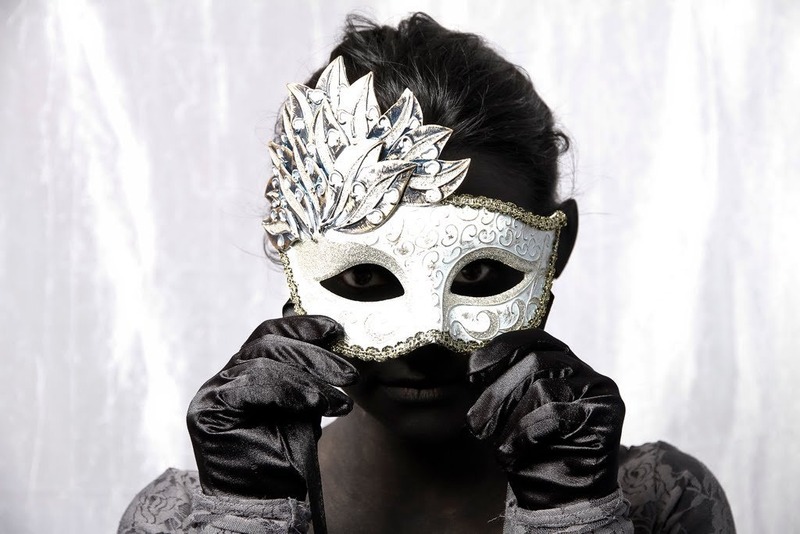 It is akin to playing dress up as kid or the “game” “house.” It’s hard to find pure role-play LARPs because many people enjoy the combat aspect of LARP. Of course both of these ends of the spectrum are hypothetical. There are no LARPs that I know of that are perfectly live-action or are perfectly role-playing. Obviously this is due to the fact that LARP stands for live-action role-play; anything that can be considered a LARP will have, at least, a little of the live-action and the role-play. Most LARPs that we, the LARPing community, are a part of fall in the middle. The deviation from the middle is minimal—I can’t give any specifics because this is purely your choice as the LARPer to decide where your game falls compared to other LARPs—though I’m sure people could argue that there are some very close to either end. European LARPs, in my opinion, fall closer to the role-play/story telling side because there is much more immersion in those LARPs, just search for pictures of Drachenfest and Conquest of Mythodea (yes, those are extreme examples). 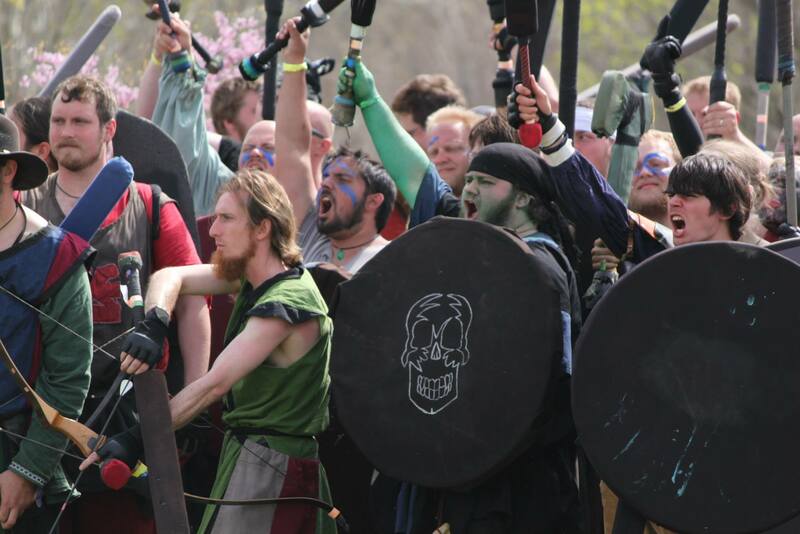 While many LARPs in the United States would fall closer to the sport end, though there are more and more immersion LARPs popping up around the country. So when explaining LARPing to new people, you might consider telling them it’s a spectrum and that there are many versions of this awesome activity. So, there you have it, a really good explanation of what LARP is. 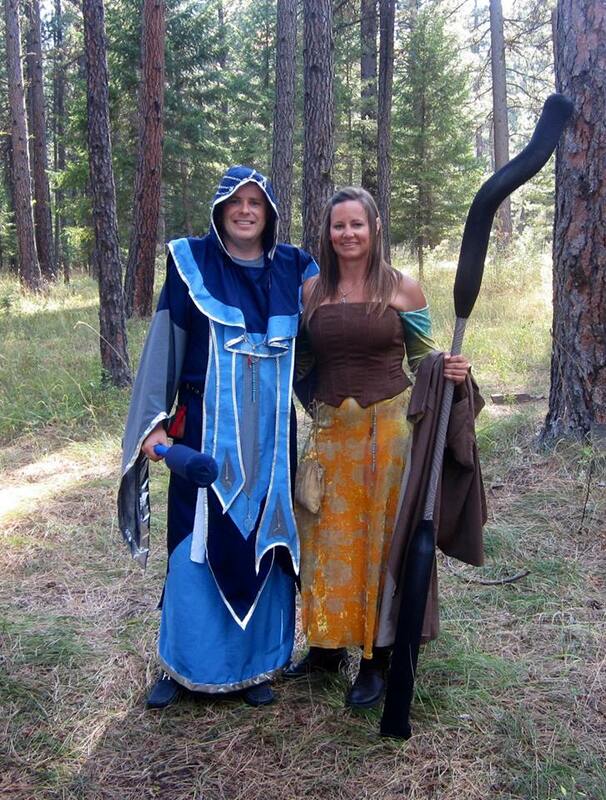 The LARP we participate in, Sojourn, is a combination event in a fantasy realm. It is an immersion camp, where the players remain in character the entire time (unless purposefully out of game), and we follow a pre-determined storyline generated and prompted by the GM’s (game masters). In addition, each type of character has very specific guidelines regarding costume and what is required. Sojourn holds two events per year, along with several “boffing” sessions throughout the winter. and we are coming up on the first one of the year where we practice our fighting skills. The first event of the year is nearly upon us, and we are both really excited to escape the reality of home remodel, jobs, and stress to join the fantasy world for three days.